I hope you have had a jolly good year so far! We prepare ourselves for another winter transition and the brightest accent in winter is Christmas time. The crown jewel of all holidays. 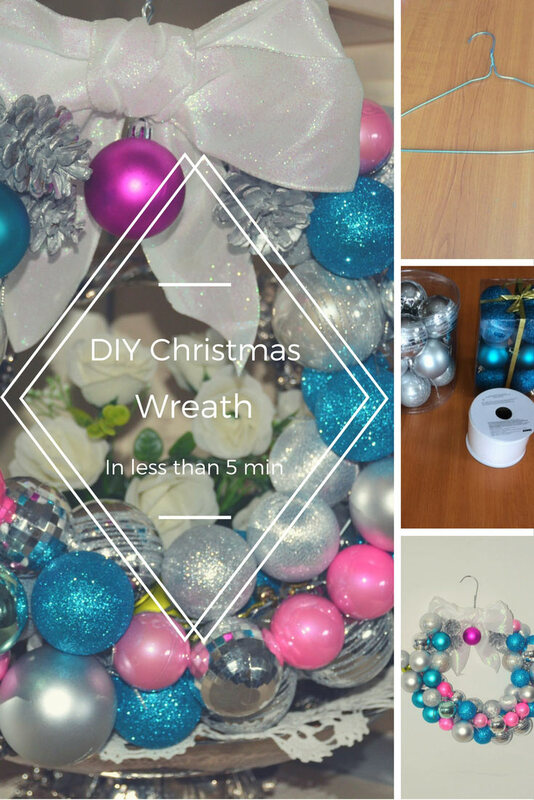 This DIY wreath tutorial takes only 5 minutes to create and even less to watch how to do it. I know the stores are always filled with all sorts of ornaments and elements, but let’s face it. They often are way too similar and usually repeat the same thing over and over again. Let me show you in this video how you can prepare your own masterpiece element all by yourself in less than 5 minutes! It is super quick and easy and the best part without overspending for materials. You get to create something one of a kind. I am certain you already have the materials we need in your old boxes, stored from last year’s shindig. Why is This Decoration So Fun? I challenge you to grab this idea and create a number of decorations. It serves plenty of purposes because it can be used as a base and tailored to your taste and desire. It is also a fitting gift for friends and family. Children love to be involved in the making, so why not include them? Browse through last year’s stock of ornaments that you already have and choose a mix of sparkling objects that you adore. Find a regular triangle hanger for clothes made of wire (probably already in your wardrobe), one or two type of ribbon rolls and some pinecone ornaments. First, untie the two ends where they connect at the top of the hanger. Then apply some pressure with the pliers on the angles until you achieve a round shape. Second, get your beautiful Christmas ornaments out of the box and choose those that have hooks on them. 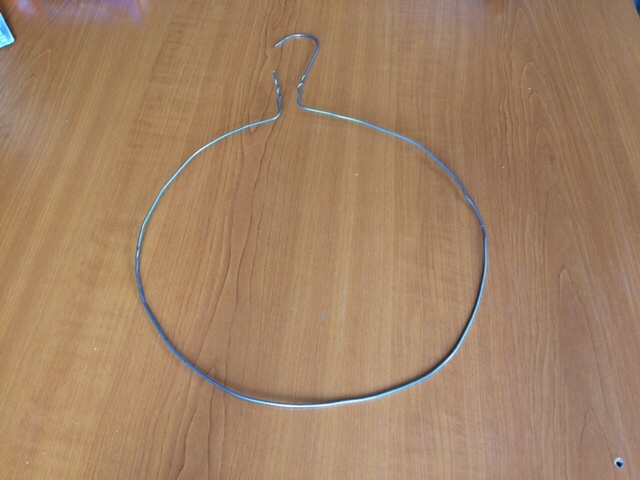 Pass the ends of the hanger wire through each hook so that the elements fit inside one by one. Pinecones will be awesome together with the balls, you can do two shiny balls and one sparkling, then a pinecone for example. Option A) is to pick a color scheme that matches the overall decorating look you of your home. Create a perfectly synchronized interior where decorations compliment each other in color and style. 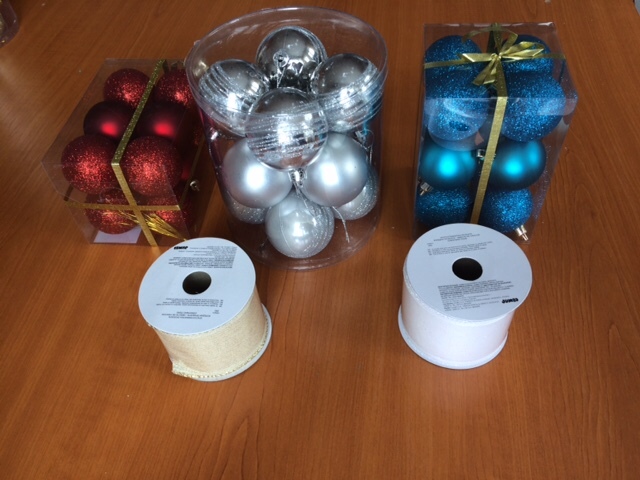 Coordinate the ornaments on the left and the right side symmetrically. Option B) is to play with the colors and to experiment by mixing them. Leave the logic to rest. You can repeat this little project as many times you want until you are happy with the result. 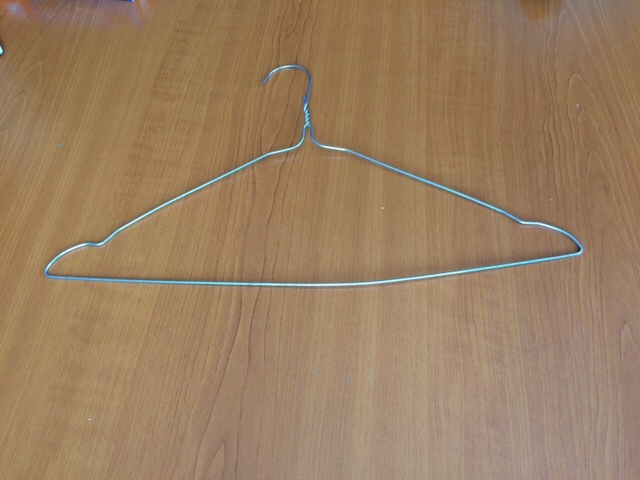 Third, once you are done, get the pliers again and twist both free ends of the hanger, by turning them into one. Make a big beautiful ribbon out of any texture you like by tying it on top as shown in the video. Usually, Christmas ornaments are light in weight, so you can now safely place or hang the DIY creation anywhere. This wreath can be used as a centerpiece on your tables or hung on any door or wall at home. Light a big candle and lay it on the table if you wish. You can top of a huge pile of gifts under the Christmas tree. You can even crown your head with it and take a picture – this is what I do each year with my decors. 🙂 Ice crystal pendants turn to be earrings on my picture and strings of lights are wired around my body for the sake of having fun. A word of advice for the last one – don’t wait until the strings of lights are too hot before you unwire yourself. Why not pick and choose your gift basket content for your friends this year? We know how many times we are invited to dinner and because we lack time to go shopping we end up choosing something quickly and with less thought than we would have wanted. I encourage you to buy a basket and fill it in with the DIY wreath you just created, a bottle of champagne, candles, delicious treats, cakes, and wines. Your friends and family will be pleasantly surprised to find out you took the time to bring in something special to their home. So, what is Your version of this DIY wreath?